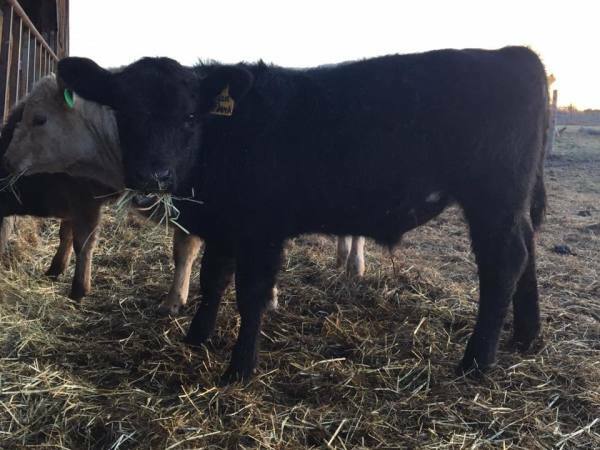 ​Purebred British White Cow (sold open) with unregistered but eligible JB Boulder heifer calf from 2016. 4-H show home price. 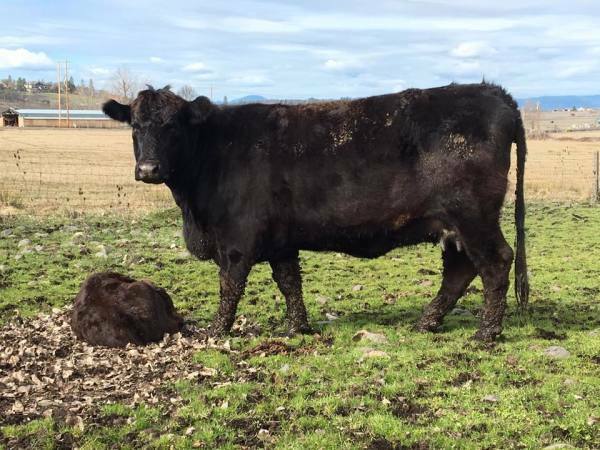 Bred to Windy Acres Excaliber for Jan 2, 2019 calf (confirmed bred by Biopryn). Calf will qualify for registration. She had her first calf at 2 years old and with BW of 92 lbs (unassisted). Full mouth, heavy milk producer for her calves, good bone and very maternal. She has had all live, unassisted births. Mature weight of 1550 lbs. She comes when we whistle and will allow some pets with proper motivation (mainly alfalfa). 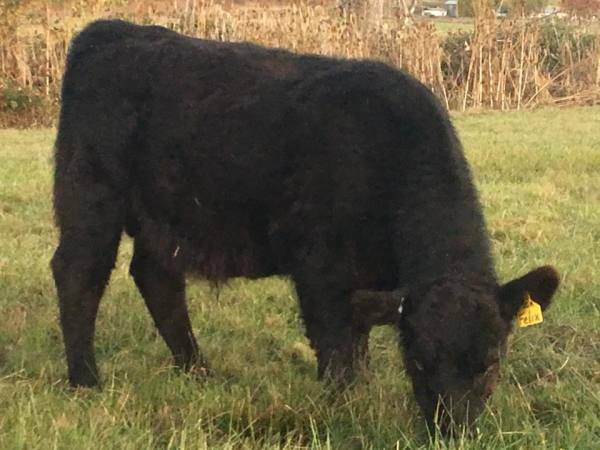 Black 50% registered heifer. Super mellow, halter broke, current on shots. Reserve Champion Murray Grey heifer from Josphine County 2018. 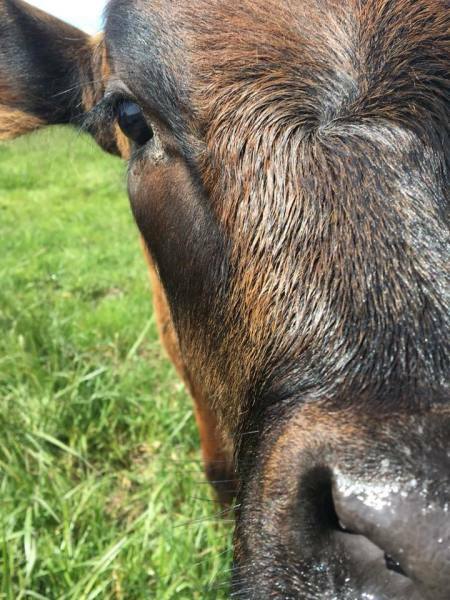 She is joining Two Byrds Dark Chocolate at a local ranch in Eagle Point. She will join with our JR bull, Two Byrds Frost next summer. 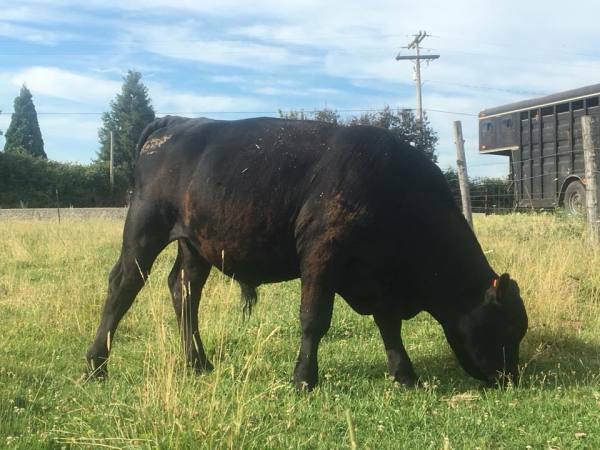 Black Angus x steer bred by local Murray grey breeder. We raise our steers on natural pasture grasses and alfalfa. No grain, no hormones, just all he can eat irrigated grass. If you are interested in grass fed all natural beef finished with Klamath Alfalfa, contact us in advance because we only raise finished product for people who preorder. He is currently 17 months and 1100 lbs. He is expected to finish at 21-22 months and 1320-1350 lbs (~800 hanging) based on current gain. We sell steers by hanging weight. Sired by JB Colt 45, 2016 Res. National CH Yearling MG Bull. We are using Excaliber to add Temar Lotus line to our pedigree stock. Pictured here at 21 months. 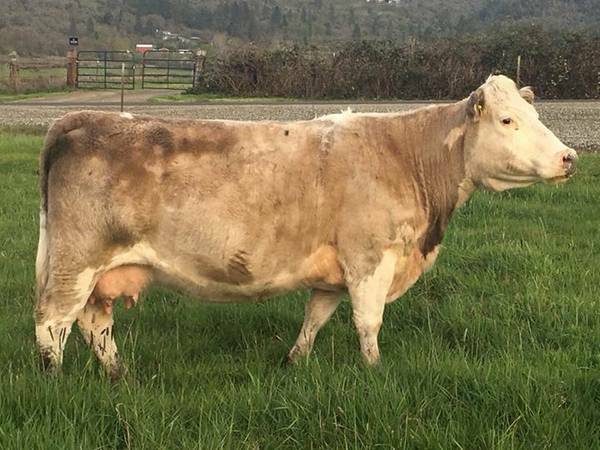 Purebred Murray grey steer. We raise our steers on natural pasture grasses and alfalfa. No grain, no hormones, just all he can eat irrigated grass. If you are interested in grass fed all natural beef finished with Klamath Alfalfa, contact us in advance because we only raise finished product for people who preorder. He is currently 11 months old. He is expected to finish at 22-23 months and 1000-1100 lbs (~650 hanging) We sell steers by hanging weight. 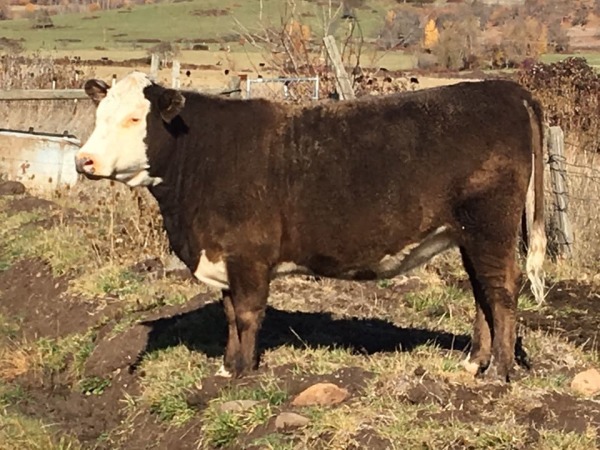 50% Murray grey steer. He is currently 7 months old. 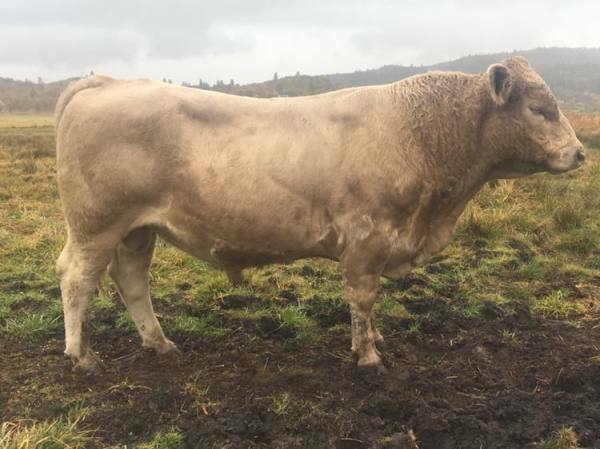 He is expected to finish at 22-24 months and 1100-1200 lbs (~700 hanging) We sell steers by hanging weight. Picture will be updated when able. May have beef available in Spring and Fall 2019. Contact us for details.